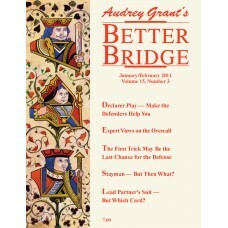 This magazine features articles by Audrey Grant, David Lindop, and many other top-ranked players and writers. 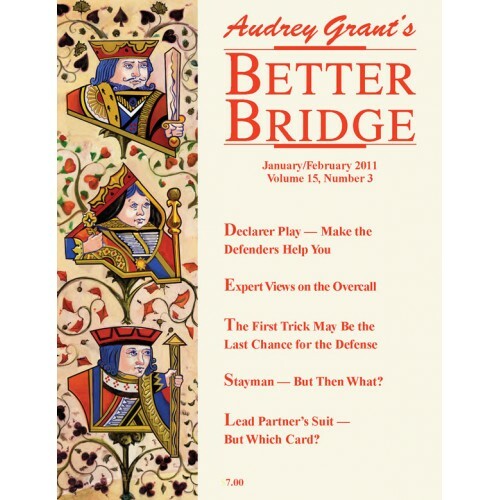 Each issue features a variety of bidding quizzes, play and defense problems, in-depth articles on particular dimensions of the game, and reports on the goings on of the national and international bridge world. Whether you play at home, at the club, or in tournaments, this is a piece of mail we are quite sure you will enjoy receiving. Click here to order Online (electronic) version of the magazine.